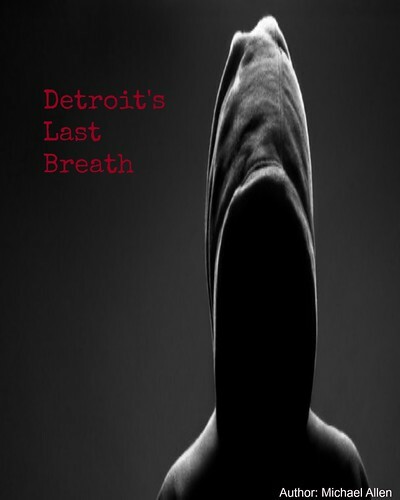 *full disclosure: a screener of this film was provided by Breaking Glass Pictures. The Hide is one of these films where this reviewer would love to jump right into the spoilers. However, this would ruin the film for others. As background, The Hide was produced in 2008 on the Isle of Sheppey. Then, this title was released in the United Kingdom in 2009. Initially The Hide was a stageplay titled "The Sociable Plover" and now this material will find itself on DVD September 6th in North America, through Breaking Glass Pictures. This is a tense thriller. Starring Alex MacQueen as Roy and Phil Campbell as Dave, The Hide utilized the three unities of Aristotle, while providing some mysterious interplay between the two characters. There are only a very few film details that hamper the enjoyment of this film. Roy is an ornithologist (bird watcher), who is apparently ready to sequester himself in a bird watching house for the day. His obsessive compulsive disorder shines through in his overly cautious movements. Actor Campbell portrays all of Roy's nervous ticks to dysfunctional perfection. There is something not right about this lonely man. Events pick up when Roy, a tattooed lout, enters the picture. Quiet and disarming, David and Roy compare interests including power tools, while the film experiments with the direction it will take. A hovering police helicopter signals that something is not quite right, in the marshes. Elements which show the film's stage origins include the emphasis on dialogue and one small set. The reduction in the usual expanse of characters also keeps the focus on these these two men and their pasts, alone. It seems that both characters are hiding something, as Losey uses his best misdirections to keep viewers and this reviewer on the wrong path. The conversations between Roy and David become increasingly revealing with discussions of past wives and working experience. Roy does much of the talking, while David's history remains in the shadows - increasing the mystery. While The Hide is mostly a thriller, there are elements of drama here. And no one knows drama better than Aristotle, that Greek philosopher of old. Whitnall uses Aristotle's unity of time, action and place to keep this piece focused and eventful. These elements also keep the production small, but this film is never boring are dull. 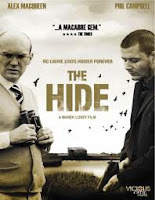 Full of twists and turns late, The Hide proves to be a dramatic thriller worthy of attention. Thriller fans, who enjoy smaller pictures, will find something of interest here, as Whitnall uses many plot devices to keep the film entertaining "this is a film of double-entendres, innuendos and equivocal nuances" (Eye for Film). The slightly damper film stock and intermittent quiet dialogue was not enough to hinder this reviewer's enjoyment of the film. As well, the final few climactic moments show the film's true excellence in writing, with viewers sure to look twice at that next can of tuna or flaked chicken (don't ask!). Directing techniques/interpretation: 7 (this is the first film from Losey, with nothing too spectacular in the camera department). Writing/story/plot developments: 8 (it is amazing how one set and two characters can still be something of interest). Acting/believability: 7.5 (two great performances, Campbell could have added more intensity to prevent MacQueen from stealing the show). Overall: 7.5 out of 10 (a must see for fans of theatre, indies and dramatic thrillers).